An accountability court, on Monday, indicted former prime minister Raja Pervez Ashraf along with five other accused in the Nandipur Power Project corruption reference. 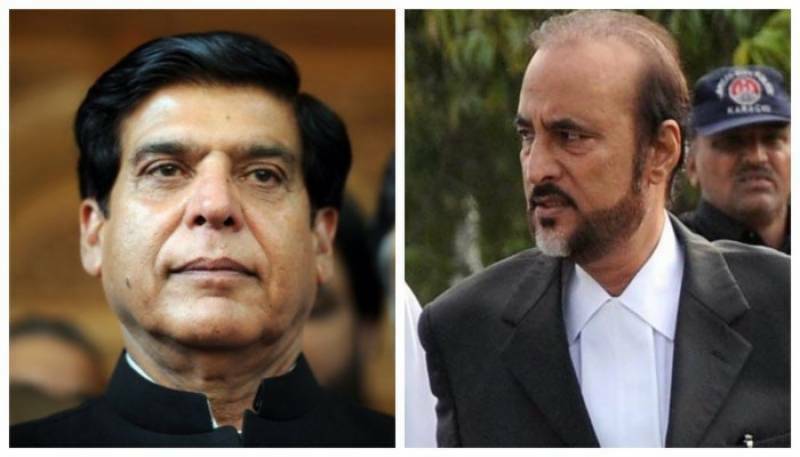 Accountability judge, Mohammad Arshad Malik, heard the case, here, in which he also framed the charges against Pakistan Tehreek-e-Insaf (PTI) leader and former law minister, Babar Awan; former law secretaries, Riaz Kiyani and Masood Chisti; former consultant Shamila Mahmood, former joint secretary, Riaz Mehmood, and former secretary, Shahid Rafi, as co-accused in the case. The suspects have been accused of causing a loss of Rs 27 billion to the national exchequer by a delay in according approval to the project. All the accused have pleaded not guilty in the court. However, Justice Malik directed the prosecution to produce evidence to substantiate the charges, and summoned the first prosecution witness on March 19, on a request from the prosecution. The formal trial of the accused would start with effect from the said date. The judge further noted that he would try to conclude the trial at earliest. According to the details, the National Accountability Bureau (NAB)’s Rawalpindi branch office had filed a reference against seven politicians and bureaucrats last September, while contending that the Nandipur project had faced a delay of two years, one month and 15 days because of their actions. Earlier, the Project was approved by the Economic Coordination Committee in December 2007 at a cost of 329 million dollars. Following the approval, the contract was subsequently signed in January 2008 between the Northern Power Generation Company Limited (NPGCL) and the Dong Fang Electric Corporation, China while two consortiums – Coface for 68.967 million euros and Sinosure for $150.151m – were set up for financing the project. The water and power ministry sought a legal opinion with regard to the schedule of the agreement from the law ministry in July 2009. However, the accused repeatedly refused to provide its approval. Meanwhile, the power ministry also failed to take any concrete steps to resolve the issue, resulting in the aforementioned delay. The NAB said that the legal opinion was issued in 2011 at the time when the then law minister, Awan, was reshuffled from the post. The Auditor General of Pakistan (AGP) also found irregularities to the tune of Rs 80 billion in the aforementioned project, which included losses over Rs17 billion incurred due to the delay. In October, Awan had filed an application seeking acquittal in this case. However, he later withdrew his request on March 8, when the court was scheduled to announce a decision on his application.